The runway at Middle Caicos Airport (MDS). The terminal building at Middle Caicos Airport (MDS). Middle Caicos Airport (MDS) is a small, surfaced, 2460 foot (750m) airstrip, with a single terminal airport building. It’s located in the centre of Middle Caicos near the village of Conch Bar. The airport is currently closed, and has no scheduled flights. Due to the construction of the North and Middle Caicos causeway, charter and private flights to the two islands use the North Caicos Airport (NCA) instead. In the past, scheduled domestic flights were offered to both North Caicos and Middle Caicos, however, the introduction of a passenger ferry service from Providenciales and the construction of the causeway reduced flight demand to the extent that it was no longer feasible for local airlines to operate the routes to the two islands. There are no operating emergency services at the Middle Caicos airport. A small restaurant, Dillion's Café, serves snacks and cold drinks and is located inside the terminal building (despite the airport being closed). 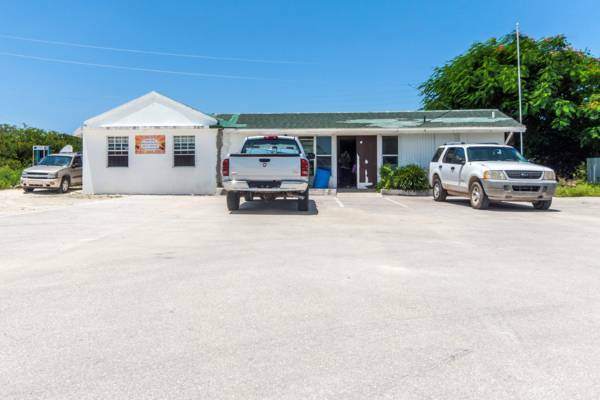 This is a convenient place to purchase a cold drink after visiting the adjacent attractions of Conch Bar Caves or Caicos Pine Yard Trail. Last reviewed by an editor on 8 October 2018.